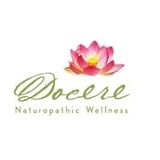 Docere Naturopathic Wellness (Portland) - Book Appointment Online! Dr. Sam utilizes a variety of therapeutic modalities in treating all conditions in her practice including nutrition, herbs, homeopathy, Arvigo Technique of Maya Abdominal Massage, Holistic Pelvic Care, detoxification, counseling, and prevention. Her goal is to support the patient in achieving a state of optimal health, meeting the patient where they present and integrating therapeutics to strengthen the vital force. Dr. Sam ascribes to the Principles of Naturopathic Medicine, and incorporates them into her individualized patient care. Reproductive/Women's health and optimal fertility for couples is a primary specialty for Doctor Sam. Very knowledgable, empathic, and relatable. Very happy with my choice.